This orchid is often simply referred to as Ophrys candica. It has a large, square undivided lip and its main distinguishing feature is the speculum which has a marbled appearance and is often predominantly white. 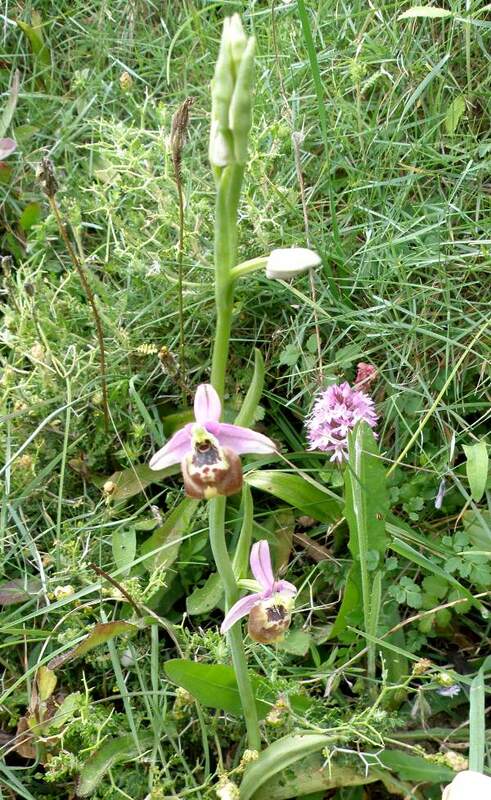 This orchid is known to occur in Italy, in the Aegean, and in Crete. 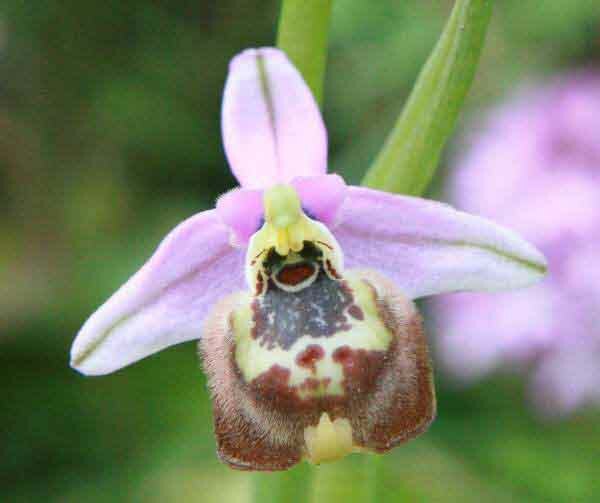 In Italy it is thought to hybridise with Ophrys apulica, sometimes forming large hybrid swarms. Hybridisation makes accurate identification difficult and, therefore, the full extent of its territory. The White Ophrys is not too particular about its habitat, growing on both alkaline and acidic substrates. It also tolerates moist or dry conditions and grows successfully in both mid-shade or open sunny positions. Ophrys candica flowers in April and May. The plants pictured on this page were photographed in Crete in early April.